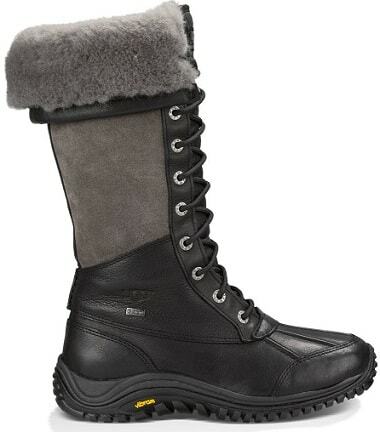 Snow boots or cold weather boots come in many different colors, shapes, and sizes. Although the are all technically cold weather footwear they are not all created equally. Some are made for serious explorers that require significant durability and warmth. Others are made more for fancy style considerations with fashionistas in mind. 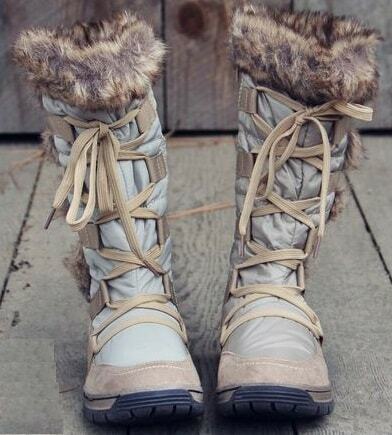 For example, some snow boots are made for expeditions by adventurers climing Mount Everest in Nepal. While other winter boots are made for fashion enthusiasts walking to work during a light snow fall in the garment district of New York City. Both situations may require cold weather boots, the two situations do not dictate needed the same type of footwear. A snow boot is a type of boot, generally waterproof, or water-resistant. The boot, in almost all cases, has a high side, keeping snow from entering the boot, and a rubber sole, to keep water out. Because of their water-resistant material, snowboots are often used in wet, slushy, or muddy situations. This means not a half inch dusting of snow, of water, but quite deep, heavy wet snow, slush, or mud. A boot is a type of footwear and a specific type of shoe. Most boots mainly cover the foot and the ankle, while some also cover some part of the lower calf. Some boots extend up the leg, sometimes as far as the knee or even the hip. Most boots have a heel that is clearly distinguishable from the rest of the sole, even if the two are made of one piece. Traditionally made of leather or rubber, modern boots are made from a variety of materials. Boots are worn both for their functionality – protecting the foot and leg from water, extreme cold, mud or hazards. During wet or snowy weather, snow boots are worn to keep the foot warm and dry. They are typically made of rubber or other water-resistant material, have multiple layers of insulation, and a high heel to keep snow out. Boots may also be attached to snowshoes to increase the distribution of weight over a larger surface area for walking in snow. Traditional snowshoes have a hardwood frame with rawhide lacings. Some modern snowshoes are similar, but most are made of materials such as lightweight metal, plastic, and synthetic fabric. In addition to distributing the weight, snowshoes are generally raised at the toe for maneuverability. They must not accumulate snow, hence the latticework, and require bindings to attach them to the feet. Ski boots are a specialized snow boot which are used in alpine or cross-country skiing and designed to provide a way to attach the skier to his/her skis using ski bindings. The ski/boot/binding combination is used to effectively transmit control inputs from the skier's legs to the snow. Sorel - Founded in 1962 in Canada, SOREL brings its functionality and heritage of expert craftsmanship to the modern world of fashion, where it is inspiring a new generation of doers, builders, and creators. 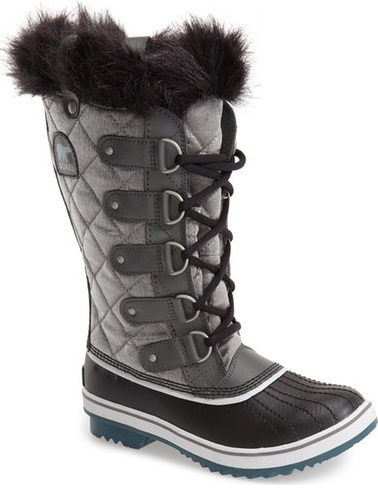 And though SOREL makes more than just boots, there’s a boot in everything SOREL makes. SOREL combines felt, wool, premium leather, and flawless construction with people who aren’t afraid to get their boots dirty. Sperry Boots - Harness your seafaring spirit in all seasons and weather conditions with a collection of essential Sperry boots for women. Sperry carries a wide selection of women's winter boots, rain boots and casual boots made to keep your feet looking stylish and ready for whatever adventure might be around the corner. Snowboots are used by people to easily walk in snowy or wet situations, and by children playing in snowy, relatively wet, or muddy lawns, fields, etc. 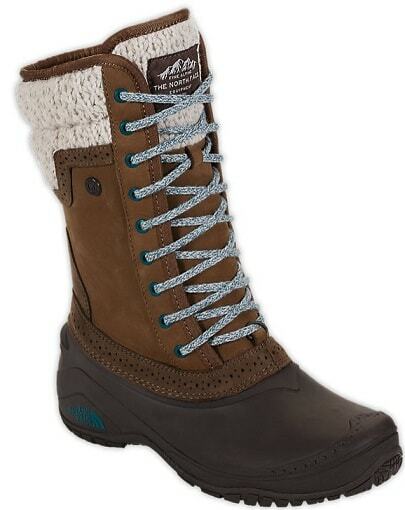 They are also usable for walking in streams in winter, as they are well-insulated, while still waterproof. When purchasing this sort of footwear double check to make sure that the one your are buying indicates that it is waterproof. Not all winter boots are water resistant. You may also want to read our L.L Bean Duck Boot blog post on the Fashion Blog. Now that you finished reading this page you may want to take a few moments to learn about rain boots which have a few similarities to winter snow boots. Obviously, don't forget to visit the snow pants page if you are planning a winter adventure. While you are at it, you may want to also research gloves and mittens if you are going to be in a cold area. It might be interesting to also learn about hiking boots if you have time for some extra reading.